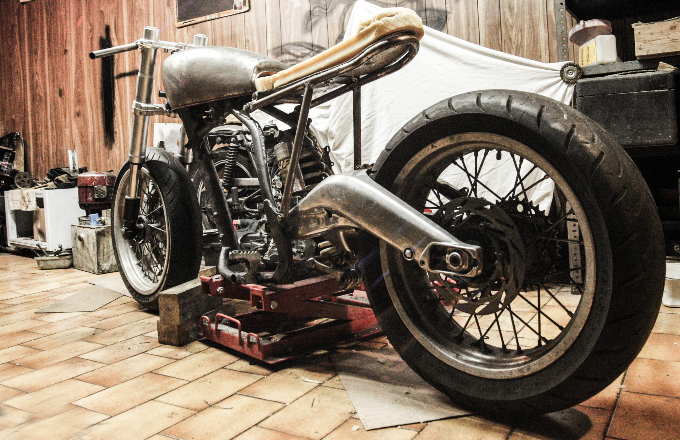 Junk motorcycles are a headache for the owner especially when they are lying useless in the garage. They not only occupy space but also depreciate over time. If you wish to sell a motorcycle that is old and damaged, then you can contact nearest dealers who are willing to buy it at a reasonable price. You can either visit a local junkyard shop near your locality or post an online ad on a website. There is no best way to sell a motorcycle. It depends on your convenience, which method you wish to choose. However, there are certain advantages and disadvantages of the methods. Visiting a junkyard near your locality is convenient as it may be on the way to your office or market. Moreover, since you have been living in that area for a long time, you might already know some of them. Local junkyard owners can easily be tracked and there is less chance that they may dupe you for money. However, visiting a local junkyard may demand you to take out time of your daily routine. You might also need to visit more than one shop in order to get the price for your motorcycle. Posting an online ad helps you connect with a large number of buyers which you might not be able to do personally. Moreover, it provides you with a number of options to choose from. It is also convenient and easy as you don’t have to physically visit junkyard shops which would consume enough of time and effort. However, transactions with online buyers are not always safe. Some frauds are looking for sellers whom they can dupe with money. In such a situation, you have to be very careful not to fall prey to such buyers, check their credibility beforehand. If the deal is finalized, choose a safe place for meeting especially crowded ones. Create an account: There many websites that connect you to buyers online. You just need to visit them and read step by step instructions. Most of the websites ask you to first create an account which would require some of your basic information details such as name, address, phone number, email, etc. Once you have completed the registration, you will have to post an online ad to sell a motorcycle. Post details: Online buyers are interested in seeing the condition of your motorcycle and its various specifications. First, you have posted some decent pictures of your motorcycle from various angles. Then you have to add some description of your ad. After that, you need to add the details of your motorcycle such as model, mileage, engine, etc. It helps buyers to get an idea so that they can offer you a proper quotation. Connect to buyers: Once the buyers see your ad, they will contact you via phone or email or any other contact detail that has been mentioned by you. Check credibility: Usually, you don’t have any information or personal details of online buyers. There are some basic details mentioned, but you cannot judge their credibility by that information. If the buyer is a company, then you can visit their website for further information. If the buyer is a person, then you need to have a detailed conversation in which you can get an idea regarding their credibility. Negotiate on prices: Before you enter into price negotiation, you need to first research on motorcycle prices online. There are many websites that provide you with such information. You can also compare quotes offered by various buyers and then choose the most profitable price. No matter whatever condition your bike is in. You can contact thebikebuyers.com to get the best deal for your motorcycle. https://www.thebikebuyers.com/wp-content/uploads/2016/04/the_bike_buyers_logo-300x138.jpg 0 0 Saad Beg https://www.thebikebuyers.com/wp-content/uploads/2016/04/the_bike_buyers_logo-300x138.jpg Saad Beg2019-03-04 22:12:472019-03-04 22:18:12Where can I put junk motorcycles for sale? Selling a Salvage Motorcycle Is selling wrecked motorcycles an easy task?